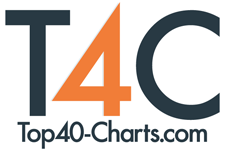 New York, NY (Top40 Charts) Strüng - The Guitar String Jewelry Company recently announced their partnership with The Namm Foundation in their joint effort to foster awareness for music education for kids. Strüng recently released the world's first ever adjustable guitar string bracelet called the Ü Collection on Kickstarter. It gives men, who are both musicians and fans, an experience of wearing a piece of the stage. Up until this point the guitar string jewelry world was focused around women. "This new bracelet is going to change the way men wear jewelry." says co-founder Tim Barbour. "Its Rock n' Roll, yet the memorable design is something you haven't seen online or in music stores until now." The company, whose mission is Help Save Music, will be donating 3% of all sales to The Namm Foundation once their Kickstarter goal is met. If the campaign does not reach its goal all the money is refunded back to the pledges. The Strüng Kickstarter campaign is live now and ends December 18. Strüng has future plans of building a long term donation partnership with The Namm Foundation after this campaign ends. You can find Strüng at Winter Namm Show 2019, booth 6110, if you have any other questions or want to inquire about getting involved. Ariana Grande Releases Official Music Video For "Thank U, Next"
Samuel Proffitt & Yoke Lore Releases "Stringsnoise"
"Americana Queen" Mary Bragg To Release New Album "Violets As Camouflage"
The Story Untold Share New Music Video For "Chasing Feelings"
Alt-Country, Southern-Rock Outfit The Rev Release A Boot Stompin' Single "El Diablo"
Tycho Releases New Song "Jetty"
The Deadnotes Drops New Single/Video "Cling To You"